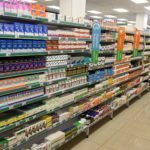 Dis-Chem’s vision is to be the leading retail pharmacy in South Africa. The Group aims to continue growing market share across all categories by focusing on customer relationships and in turn building the Dis-Chem brand. It strives to maintain its category leadership by always being responsive to consumer preferences and trends. 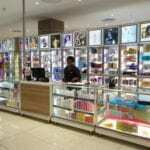 Dis-Chem’s strategy is to use its dispensary-led footfall to generate revenue from its front shop. The destination format drives superior trading densities and customer loyalty. The group combines defensiveness- being a non-discretionary pharmacy- with high growth- expansion opportunities. Lean structure with industry leading metrics. Key risks to our strategies include regulatory changes, increased competition from existing players and changes in the economic environment.